Want to be notified of new releases in Quasimo/NodeBB? 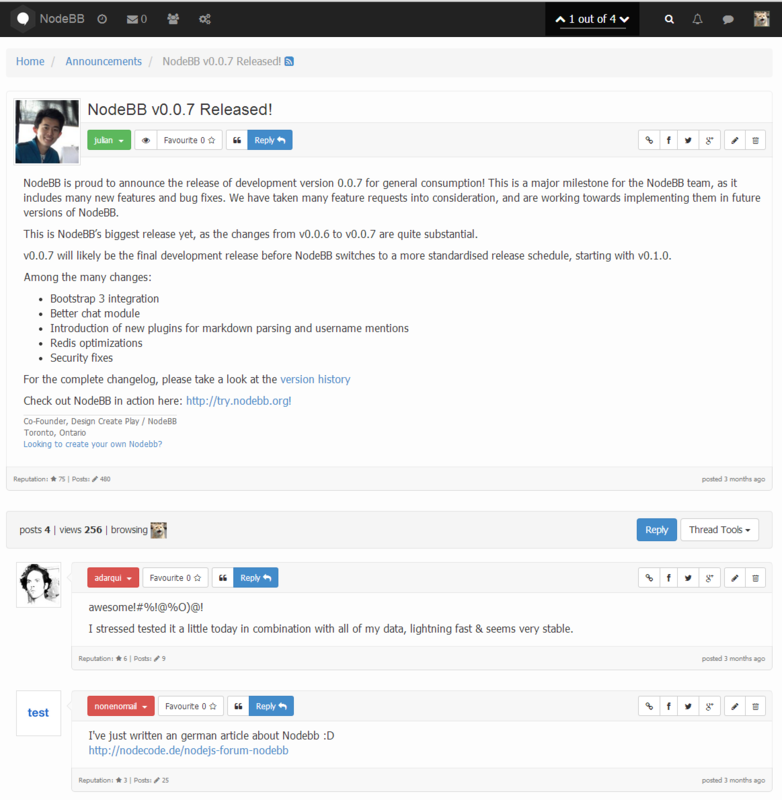 Pull request Compare This branch is 12771 commits behind NodeBB:master. 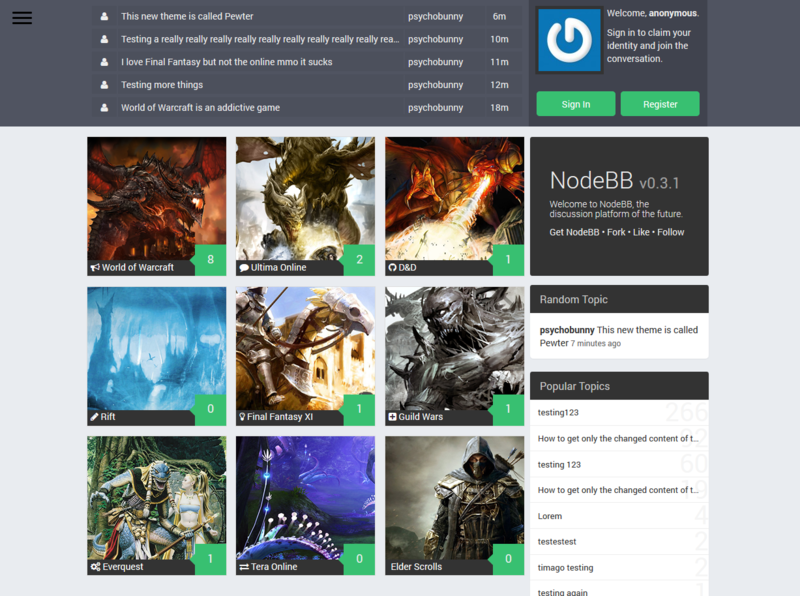 NodeBB Forum Software is powered by Node.js and built on a Redis database. It utilizes web sockets for instant interactions and real-time notifications. 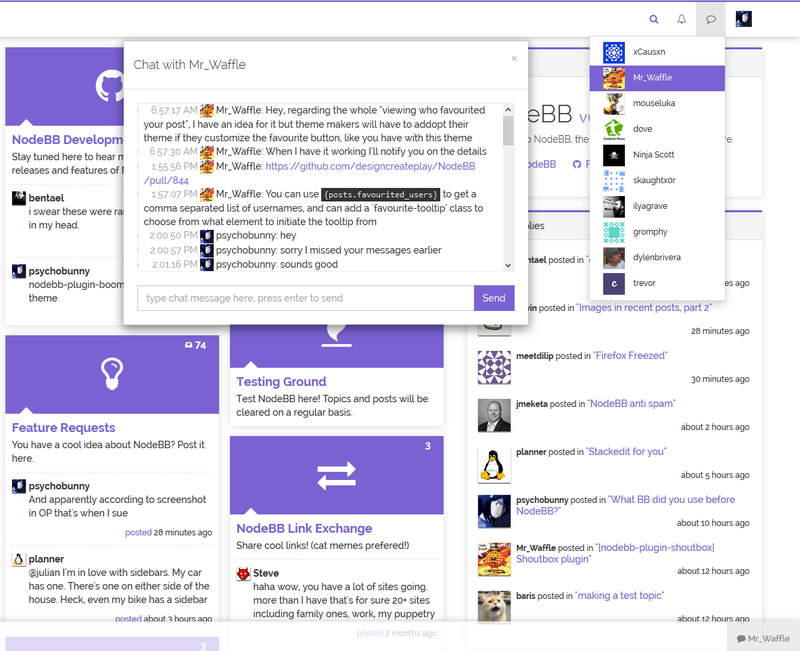 NodeBB is compatible down to IE8 and has many modern features out of the box such as social network integration and streaming discussions. 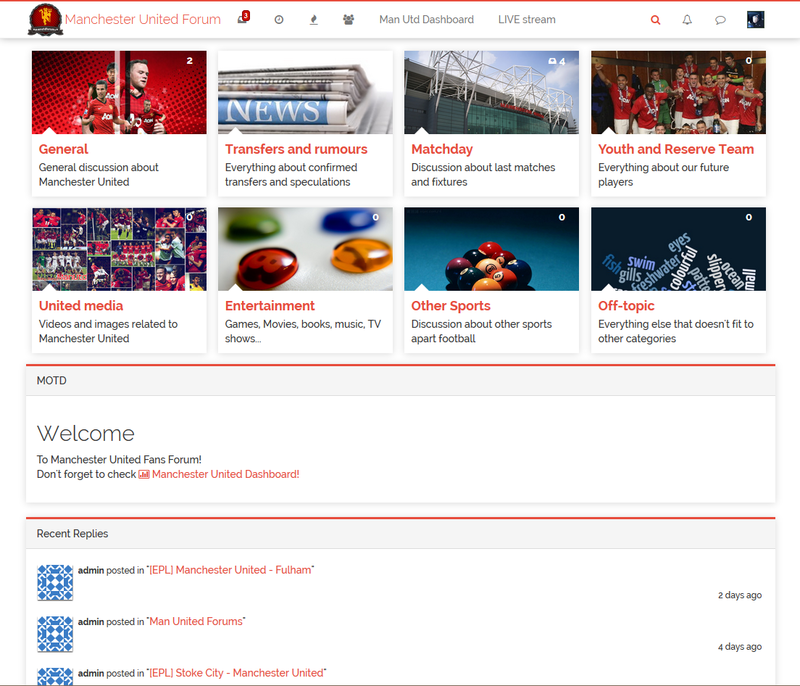 Credit: Convoe, Kano, Manchester United Forum. How can I follow along/contribute? If you are a developer, feel free to check out the source and submit pull requests. We also have a wide array of plugins which would be a great starting point for learning the codebase. 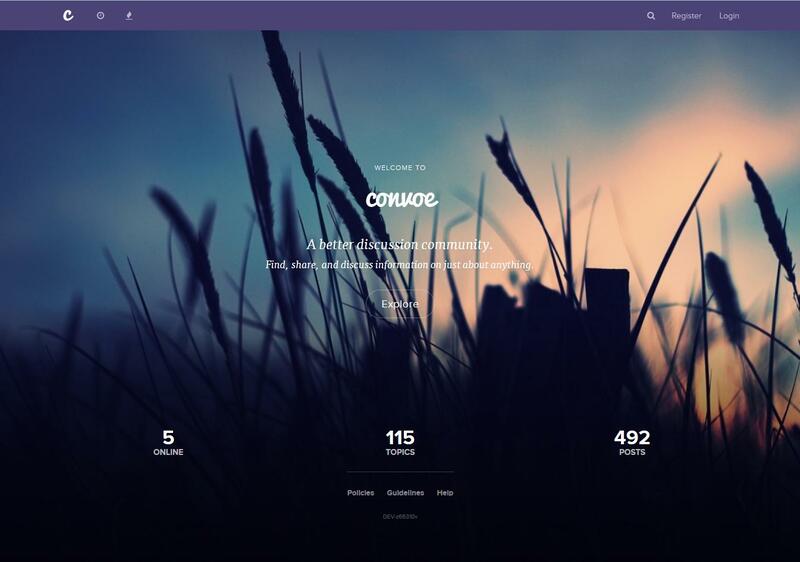 If you are a designer, NodeBB needs themes! 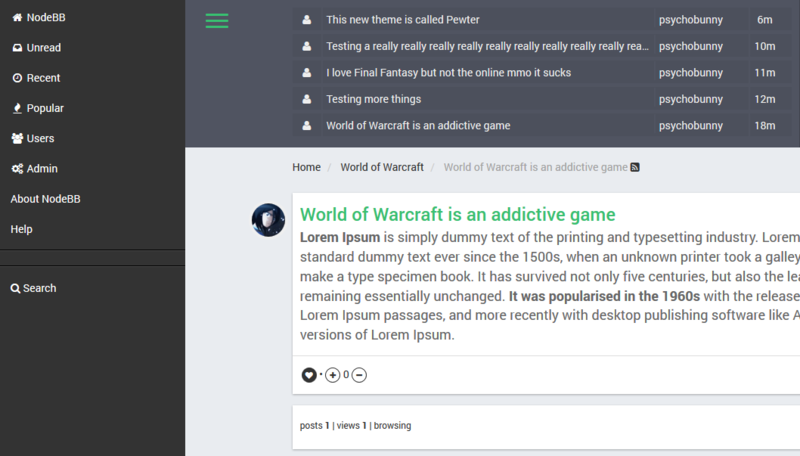 NodeBB's theming system allows extention of the base templates as well as styling via LESS or CSS. 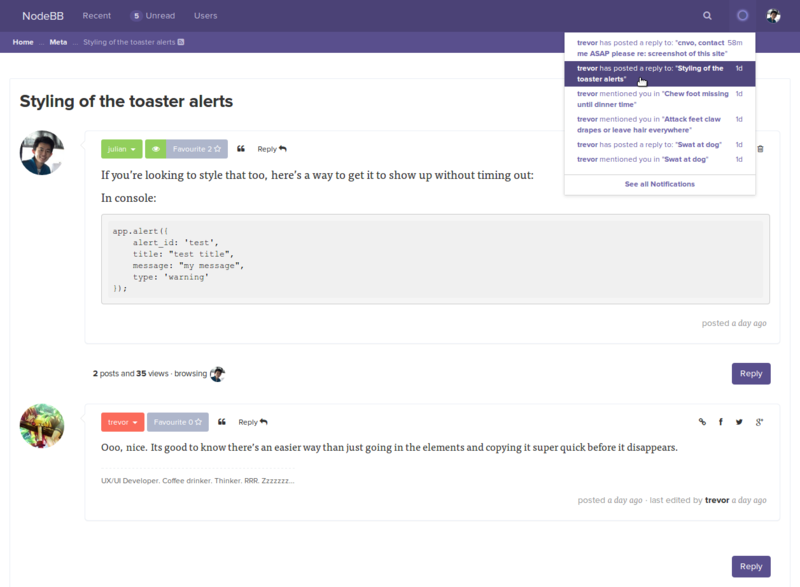 NodeBB's base theme utilizes Bootstrap 3 but themes can choose to use a different framework altogether. Please don't forget to like, follow, and star our repo! 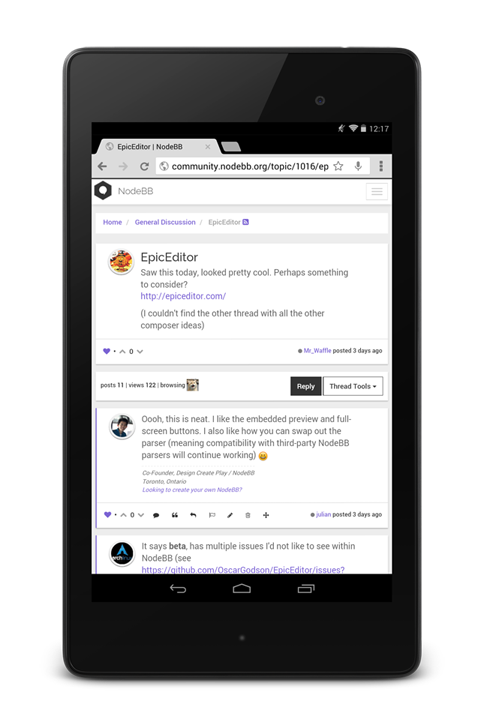 Join our growing community to keep up to date with the latest NodeBB development. Use iptables to secure your server from unintended open ports. In Ubuntu, ufw provides a friendlier interface to working with iptables.